Deriving its name from the lots it occupied at the corner of Harvard St. and 8th, Harvard Elementary School opened its doors in 1898. It was simply a one-room building with 50 desks and 30 students spanning 5 grades, which was headed by only 1 teacher. 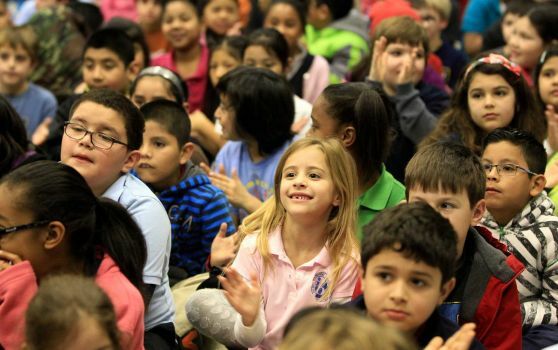 Since those tiny beginnings, School Digger informs us that Harvard Elementary has risen to claim the 13th spot in rankings of Houston ISD’s 165 schools, attaining exemplary scores for on multiple STAAR and TAKS test subjects. Its success may be due to their academically challenging programs that expand their student’s minds and impressive 17.5 student-teacher ratio, compared to other schools in the district. Harvard Elementary School offers a magnet program based strongly on Science, Technology, Engineering, and Mathematics (STEM) subjects, which are fields that are high in demand and expected to continue booming. Students in and out of the district are benefitting from their Vanguard Gift and Talented program as well. Teachers help each student expand their problem-solving and independent critical-thinking skills in a variety of standard subjects across a 6-day rotation schedule. In 2012, Harvard also became an International Baccalaureate World School. This unique program provides a special understanding of world awareness to young children that most schools don’t. Students are encouraged to think independently, become more culturally aware (by learning a second language), and are more socially adaptive, making them more likely to perform better academically than other students, and often develop a stronger desire for academia, personal learning and growth. Just this past holiday season, Harvard hosted 2012 CNN Hero Raiza Jan and author Elizabeth Suneby to bring awareness to the differences in education across the globe. The school mainly serves the children of The Houston Heights area, but it relies on the support of parents and the community to help create an environment that empowers their students. They stress parental involvement, encouragement, and support as keys to their student’s success. Harvard teachers also encourage a thirst for knowledge through inquiry and global awareness that contributes to the student’s academic achievement. Many young families and professionals looking to get started have moved into the area, making education at Harvard Elementary School even more of a priority with so many children looking to get a strong foundation to conquer to the world.